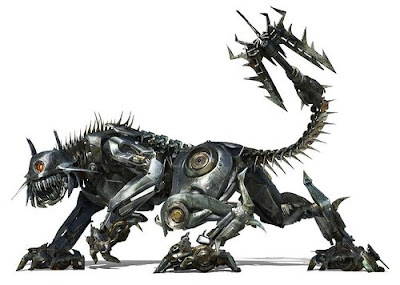 Yea, yea... it's transformer fever strike back... again! 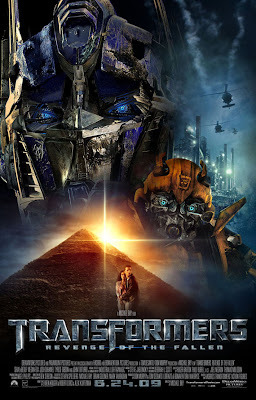 I believe most of you have watched (or going to watch) the latest blockbuster movie-> Transformer 2: Revenge of the Fallen. People will laugh at you if you miss this must-watch movie, "Wah! 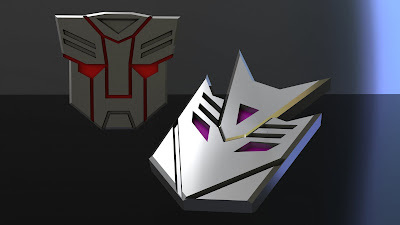 you so out-dated ar... haven watch tranformer ar!~"
So, to be a "in-date" human being, hereby I would like to share my humble designs for the hero & villain signature logo, Autobot and Decepticon! I believe you can easily identify what features had been used to create it. Sew saw it and come out with this funny idea, "Hey, why not we just use the flex feature in SolidWorks to bend it & print it as a mask"! Hmm... sound interesting! Now we have this planning to send this models for 3D printing to make it become the real mask! *hint: you may consider start with a 80' style transformer. 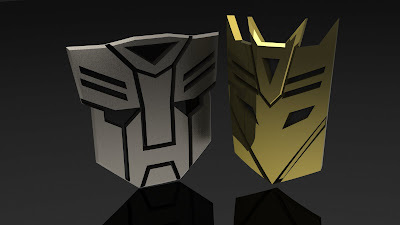 can someone model a optimus prime for me?